Together with the announcement of the New Custom L Bracket for Canon EOS 7D Mk II also previewed here, Sunwayfoto® have released a new dedicated Arca style base Plate specifically designed for the new Canon EOS 7D Mk II (Body without a battery grip). With code PC-7DIIR, the plate follows the same design with convex edges and RRS® lever release clamp compatibility, as the L Bracket. The plate is actually the base part of the PCL-7DIIR L Bracket, without the long mounting slot and the vertical part of course. 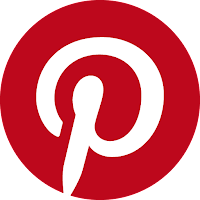 The large size of the plate may prove convenient, offering a broader adjustment bi-laterally. 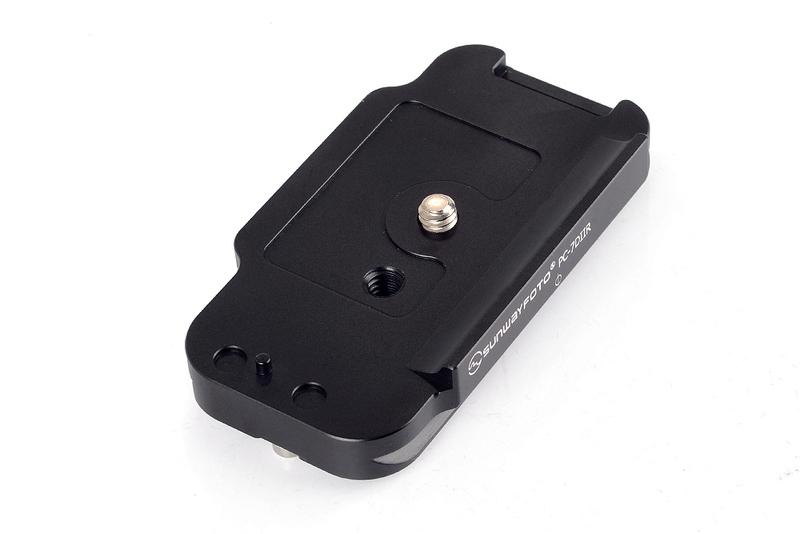 The PC-7DIIR quick release plate is flat with a convex edge on the rear which insures that the plate will not twist. 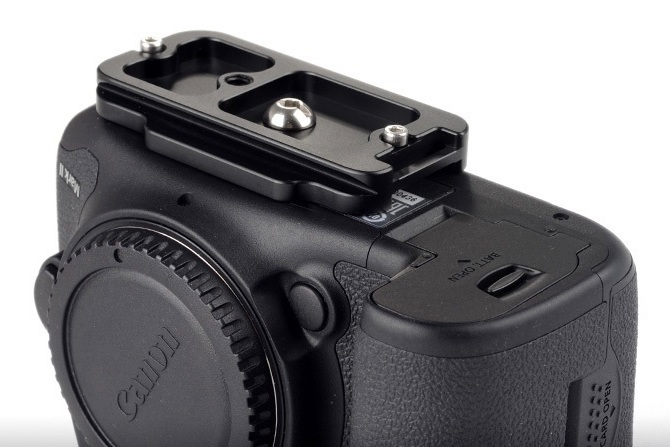 The plate features also a strap loop on the right side towards the camera grip. Just next to the 1/4"-20 captive mounting screw, there is an 1/4"-20 threaded hole for direct mounting on a pod stud without the need of removing the plate. 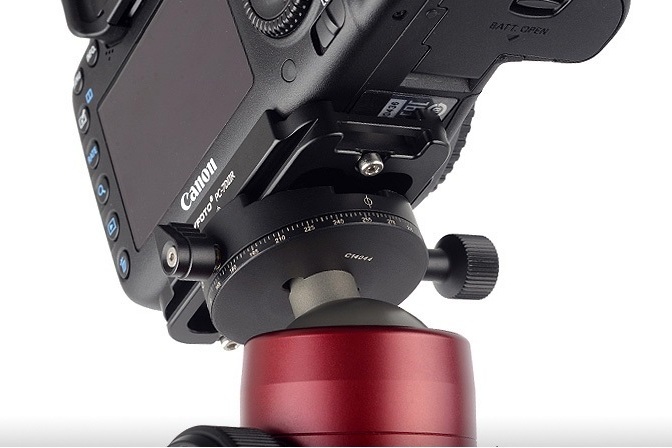 Despite the existence of the convex edge on the rear side of the plate, there is a fixed dowel pin which aligns and further secures the plate on the camera base. 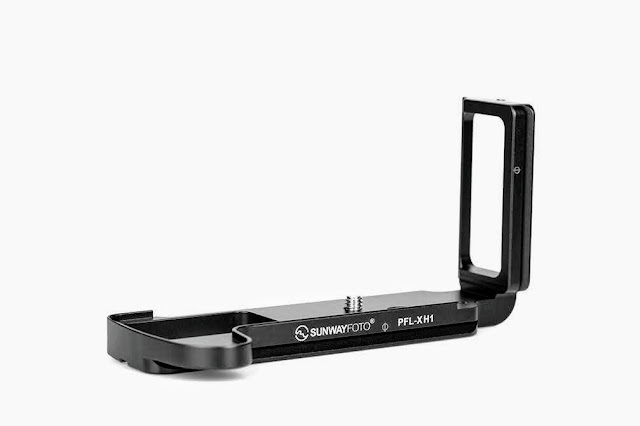 The Sunwayfoto® logo and model name are laser engraved on the rear side together with a Φ lens centering mark. As with the relevant PCL-7DIIR L Bracket any excess material has been removed from the plate bottom, in order to minimize weight. Two M3 safety stop screws, present at either end of the base plate, guaranty the plate won't slip off in case of a loosened QR clamp. 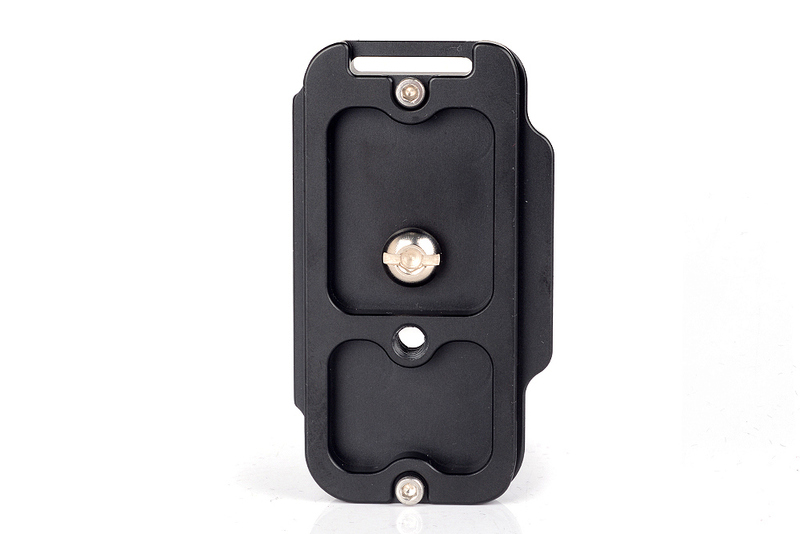 The stainless steel mounting screw has both a hex socket and a slot for user convenience. The PC-7DIIR adds full Arca-Swiss® and RRS® compatibility with very little extra bulk and weight under the Canon EOS 7D Mk II body. 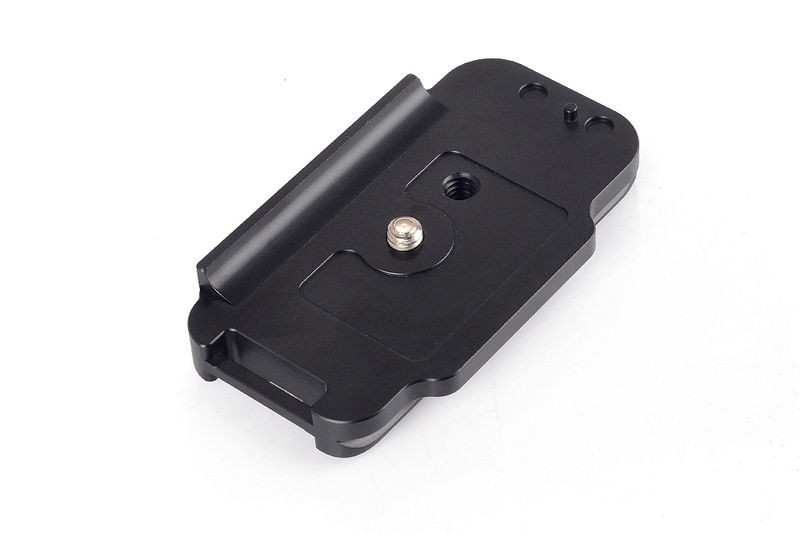 The plate follows the rear camera curve with its convex edge embracing the camera base in order to avoid twisting. As obvious the battery door is fully accessible despite the plate ample length. The package except for the PC-7DIIR plate, will also include 2 x M3 safety stop screws, 1 x 1/4"-20 captive screw and 2 x Allen wrenches for the M3 and 1/4"-20 screws respectively. Expected price for the new PC-7DIIR Plate is US$ 29.00 19.95 (+shipping where applicable) and is available from Amazon and from eBay worldwide.